Artificial intelligence projects are among the possible future collaborations between the tech giant and the Institute. Acer Founder and Honorary Chairman Stan Shih discussing future collaborations with AIM’s data science team during a visit to ACCeSs@AIM. 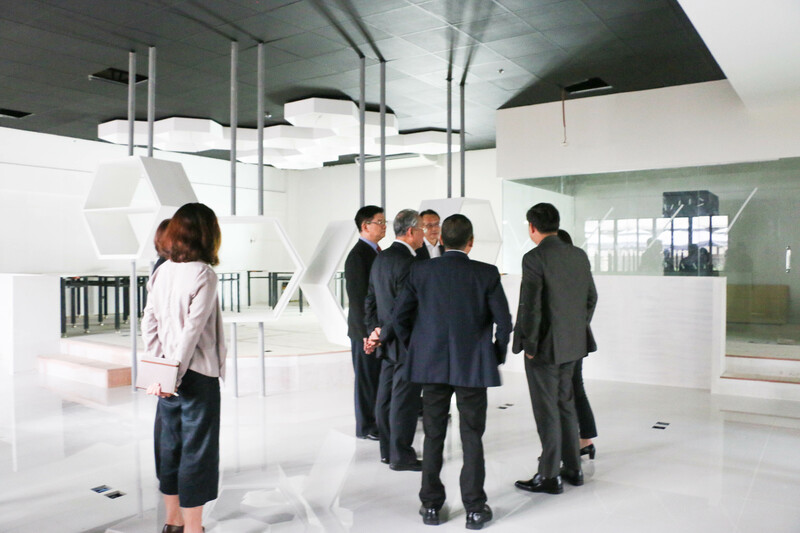 Stan Shih, Founder and Honorary Chairman of Acer, paid a visit to the Asian Institute of Management on 6 February 2018 to see the progress of construction at the Analytics, Computing, and Complex Systems (ACCeSs@AIM) laboratory. ACCeSs@AIM will house a supercomputer donated by Acer, the fastest in the Philippines with computing speeds of up to 500 teraflops. ACCeSs@AIM will officially open on 8 March 2018 and is expected to be fully operational by the end of April. Shih was accompanied by Jason Chen, Acer Chairman & CEO, and Manuel Wong, General Manager of Acer Philippines. Before they toured the lab, they met up with the ACCeSs@AIM team led by Professor Christopher Monterola, Executive Managing Director of the lab. Monterola also heads the School of Innovation, Technology, and Entrepreneurship (SITE). From left: Samual Lin (Software Quality Engineer, SPBG-Acer), Manuel Wong (GM, Acer Phils. ), Jason Chen (Chairman and CEO, Acer), Stan Shih (Founder and Honorary Chairman, Acer), Professor Monterola (EMD, ACCeSs@AIM), Professor Erika Legara (Deputy Director, ACCeSs@AIM), Dr. Christian Alis (Senior Data Scientist, ACCeSs@AIM). During their meeting, they discussed the intake status of the first Master of Science in Data Science class. With a target class size originally set at 40 students, MSDS is currently overbooked with 48 accepted applicants and 31 waitlisted candidates. MSDS candidates come from the country’s top universities and represent a wide range of fields, including computer science, mathematics, statistics, physics, and molecular biology. 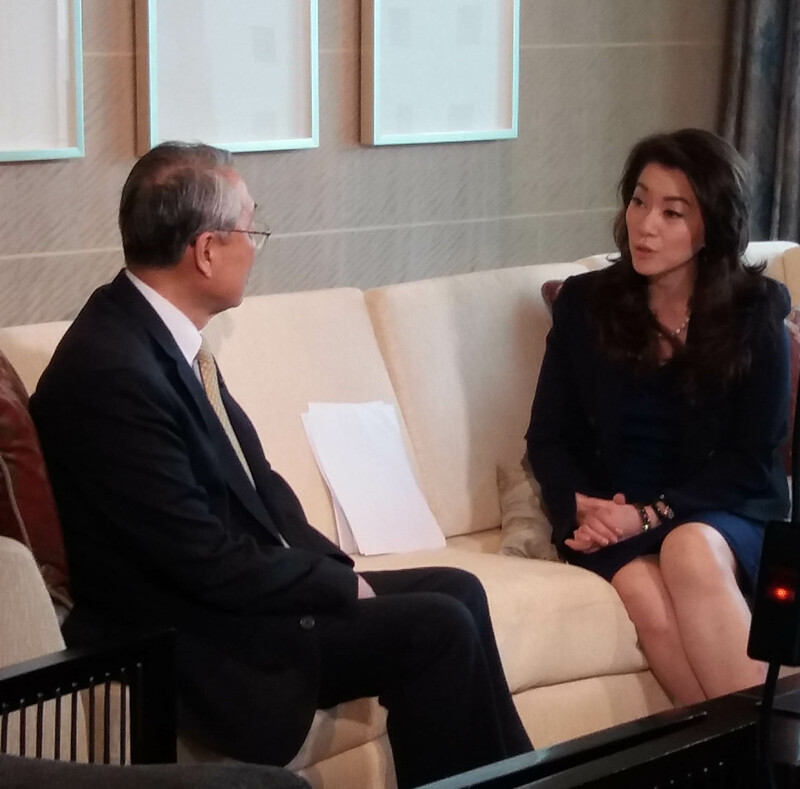 Shih was later interviewed by ANC’s Cathy Yang on 8 February 2018. During the interview, they discussed the potential of the Philippines as a player in the development of data science and artificial intelligence technologies, as well as Acer’s supercomputer donation to ACCeSs@AIM. Stan Shih, Acer Founder and Honorary Chairman, with Cathy Yang host of ANC’s The Boss.